The economy continues to power along, led by strengthening investment. The economy is doing far better than we had expected a few years ago. Mired in sub-par growth for years, the U.S. economy is accelerating by most measures we follow. Jobs are plentiful, corporate profits are up, and wealth measures are full. 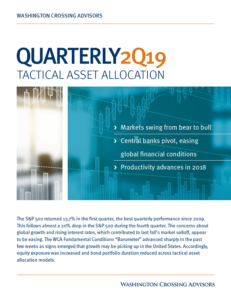 The economy grew by 4.1% in the second quarter, the best pace since 2014.
Business investment is also turning up after a two year lull in 2014-2015. Through July, core capital goods orders surged to nearly the highest levels on record. 8.5% year-over-year to $69.6 billion. Annualized, this pace amounts to roughly $800 billion, or 4% of gross domestic product. Four percent is at the low end of the historic range, however. 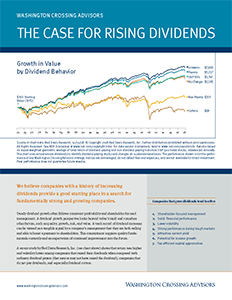 One of the primary drivers of long-run returns is the sustained growth of the underlying economy. 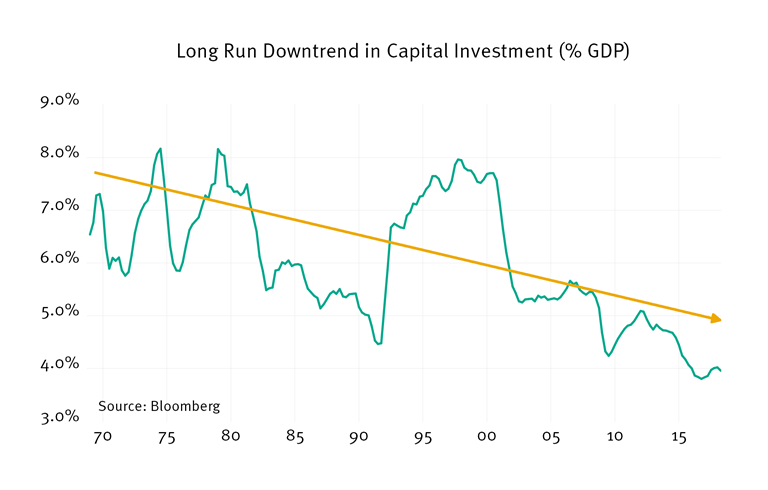 Our economy has endured nearly 20 years of declining capital investment (chart A, below). In some ways, this is the mirror image of the go-go 1990’s capital spending cycle. The pendulum swings both ways, and it would be good indeed to see a reversal in this long-running downtrend. 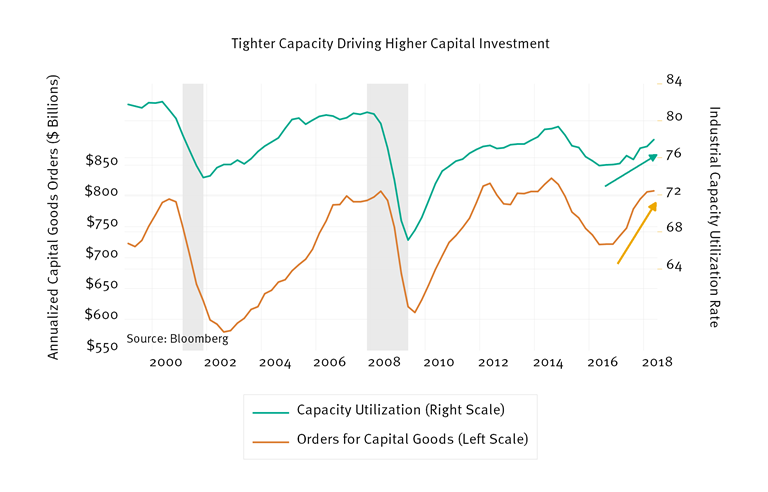 Now, we see that underinvestment is leading to tight industrial production capacity. Strong final demand by for product is pushing the physical limits of our domestic production (Chart B, below). Similar “tightness” can be seen in labor markets, where the unemployment rate is set to hit 3.8%. Only for a brief time in the late 1960s and early 2000s has there been so few job seekers available to fill openings. Investment spending may also be seeing a lift because of recent tax reforms. Lower corporate tax rates, and accelerated depreciation, can add incentives for businesses to push ahead with capital commitments. We saw similar upswings in capital spending following past tax changes which featured bonus depreciation. The 2002-2003 tax reforms under President Bush and the 2008-2009 stimulus act under President Obama both included accelerated depreciation, which gave a near-term boost to investment and growth. On the horizon, we still need to see business navigate the trade issue. Negotiations between American and Chinese officials broke down last week. This increases the likelihood that the U.S. will move ahead with planned tariffs on 25% of $200 billion of Chinese goods. Mounting trade uncertainty could cause companies to slow investment, but we don’t see actual signs of this yet.